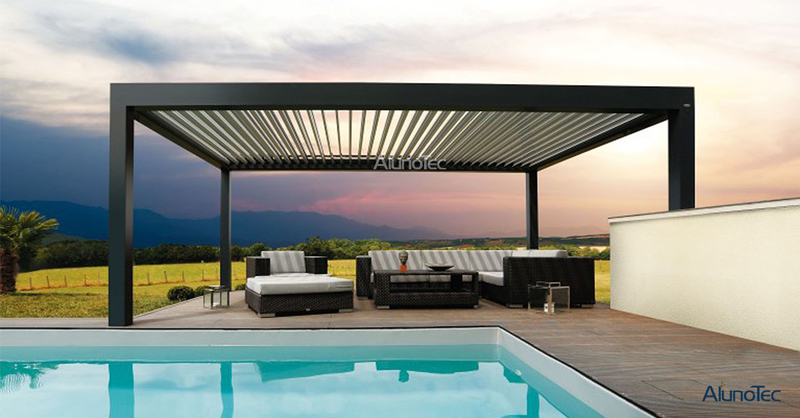 Alunotec motorzied pergola is an excellent way to extend your living space outside your home. Whether you're attaching a shade area to your home or building a freestanding privacy retreat, pergola has the design flexibility needed to make your vision a reality. With the surface of the AlunoTec louver pergolux, you'll enjoy the beauty of a richly outdoor powder coated textured finish with low maintenance and upkeep. Why You Need A Carport ? How to get pergola price from manufacturer? The application of the carport awning.  No.1220/1222, Building D, Peace Square, Nancheng District, Dongguan, Guangdong, PRC. [GARDEN] Why You Need A Carport ? [GARDEN] How to get pergola price from manufacturer? [GARDEN] The application of the carport awning. Add:No.1220/1222 Building D, Peace Square, Nancheng District, Dongguan, Guangdong, PRC.